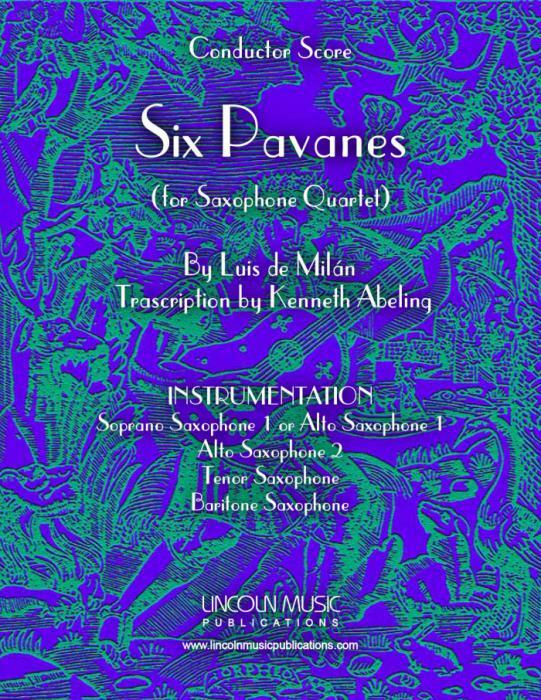 This is a collection of Six Pavanes by Luis de Milán originally written for the vihuela and transcribed here for Saxophone Quartet by Kenneth Abeling. These pavanes from the Renaissance period are suitable for general performance, and sacred events. They are for the most part moderately easy with a few moderately difficult passages. Additionally, they make an excellent introduction to the Renaissance period in music and the use of different meters. The performance time is 7:30 for all pavanes.